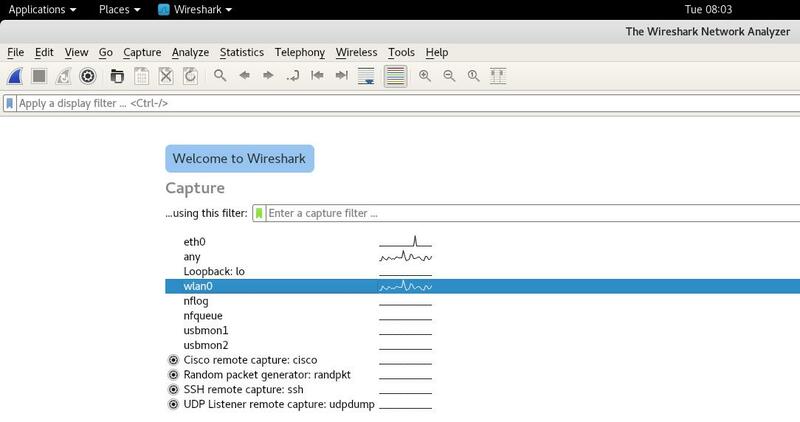 The following method works only against WPS enabled Access Points. 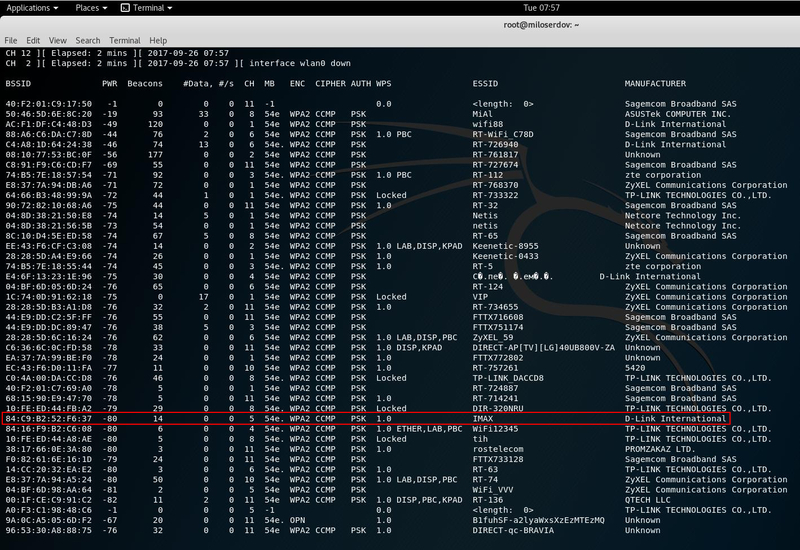 However, it lets you to determine the exact model of a router, not only a vendor (like according to MAC-address). More good news it does not matter whether WPS locked, not locked, configured, or not configured. With any status of WPS, your chance to find out the exact model of an access point is pretty high. For example, we are interested in AP named IMAX; we can notice its BSSID is 84:C9:B2:52:F6:37, its manufacturer is D-Link International and it is using channel 5. And the most important it is WPS enabled AP. Nevertheless, I wonder what is the exact model of the router running IMAX? I can determine that! 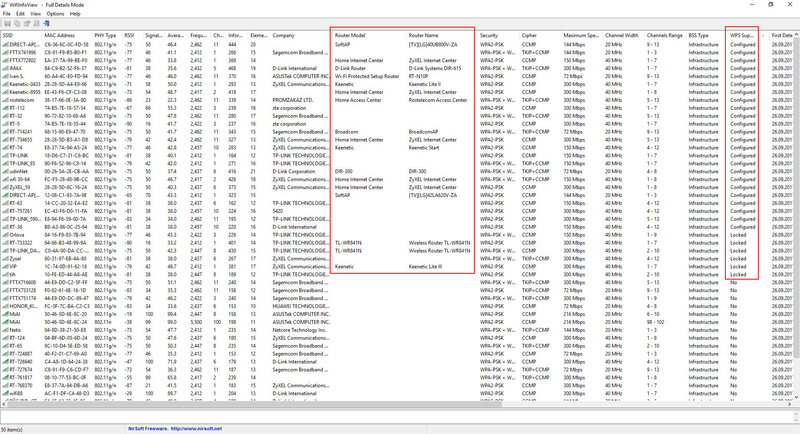 After approximately 10-30 seconds, stop the capturing packets. Where ‘ESSID’ replace with actual ESSID of the interesting Access Point. (wps.device_name != "" || wps.model_name != "" || wps.model_number != "") && wlan.ssid == "IMAX"
Therefore, the actual model of the router is D-Link Systems DIR-615. The described method is applicable for the majority WPS enabled APs. 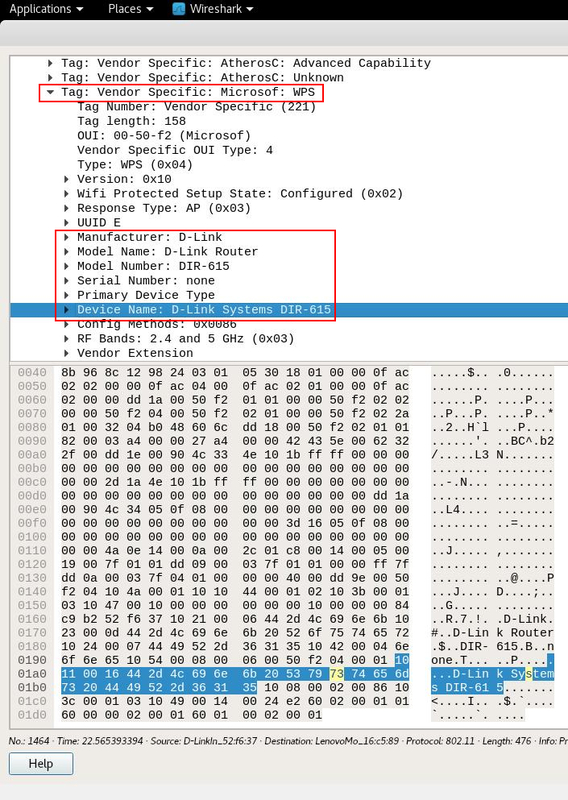 Keep in mind filters wps.serial_number, wps.manufacturer, and wps.new_device_name; they can be useful to extract some information about the AP model. There is a nice tool, which is able to extract the same information about the exact model of a router on Windows. It is called WifiInfoView.